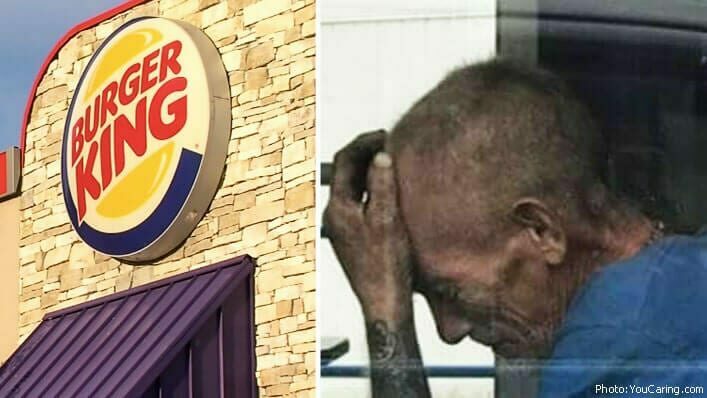 Katy Hurst was out running errands in Independence, Missouri, when she decided to cruise through the Burger King drive thru. As she pulled around to the pick-up window, Katy spotted a man sitting inside of the restaurant. With his head buried in his hands, Katy could feel his brokenness. 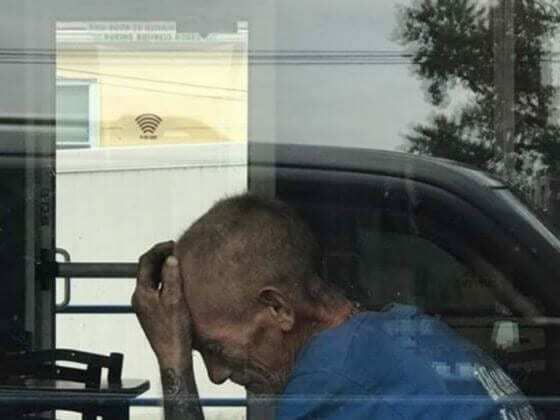 She snapped a quick photo of him through the window, then made the decision not to eat her food on the go, but instead, go inside and sit with him. 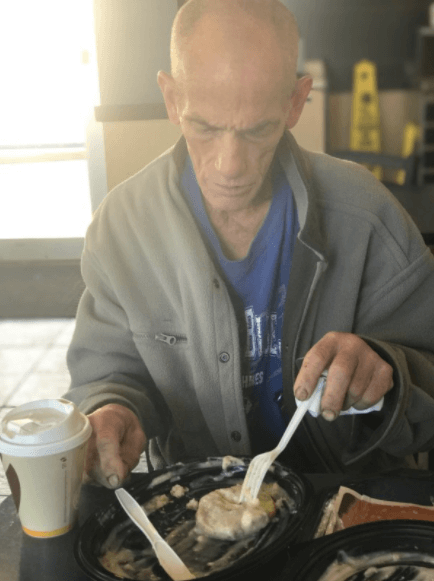 Katy soon found out his name was “Pops,” a homeless man in the area who was ready to give up. He told Katy that he was lonely and out of hope. Not only was his spirit broken, but at 57 years old, Pops’ body was literally broken. 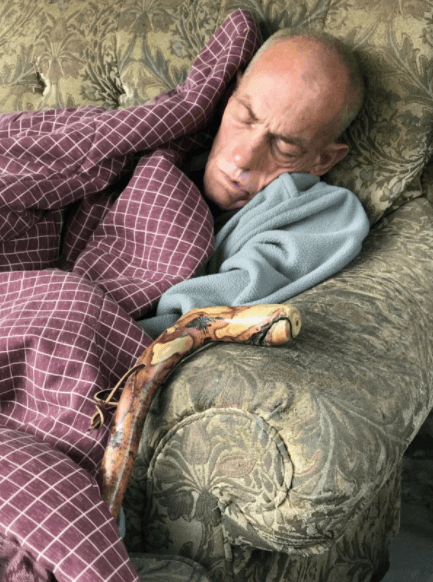 Living in constant pain, Pops told Katy he has seven broken bones that he hasn’t been able to afford to get treated. Katy posted that heart wrenching photo of Pops to Facebook, and asked the virtual world for some help. Support came pouring in from the community with donations of money, clothing and other basic items to help get Pops back on his feet. 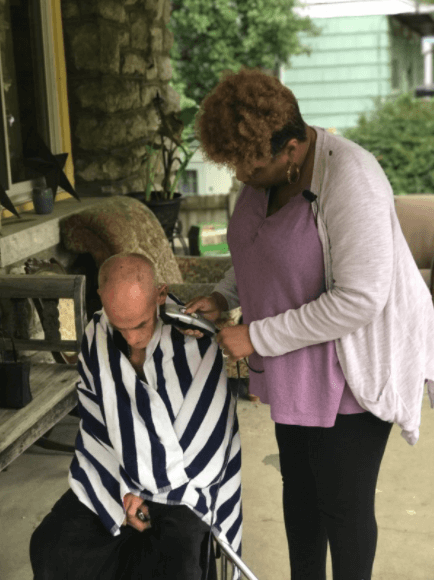 He was able to have a nice bath, a warm and safe bed to sleep in, and he received a haircut from Katy’s friend, Pamela Denson. After spending the day at her home, Katy took Pops to the hospital to get the medical care he needs. In the meantime, she’s been hard at work raising money for his medical bills, and once again, the community has not disappointed. In just 11 days, more than 350 people have helped raise more than $11,000 for Pops. And it’s all because Katy’s heart broke for someone else’s brokenness. Share this story with your friends today. May it inspire each of us to love our neighbors, and be the good in this broken world.